The Grand Chamber of the European Court of Human Rights (ECtHR) has issued its second ever monetary judgment in an inter-State case, ordering Russia to pay the Georgian government 10 million euros as reparations for Russia’s collective expulsion of thousands of Georgian nationals between 2006 and 2007. See ECtHR, Georgia v. Russia (I) [GC], no. 13255/07, ECHR 2019, Judgment of 31 January 2019 (Just Satisfaction). The judgment on reparations follows the Court’s 2014 judgment on the merits of the case, in which it found that Russia’s mass expulsion of Georgians violated the European Convention on Human Rights. See id. at para. 2. If Russia complies with the judgment, Georgia will be responsible for distributing the 10 million euros to a group of 1,500 identified victims, awarding 2,000 euros to each person who was expelled and awarding an additional 10,000 to 15,000 euros to those who had also been detained and ill-treated. See id. at paras. 77, 79. This judgment applies and builds on the Grand Chamber’s 2014 just satisfaction judgment in Cyprus v. Turkey, in which it ordered Turkey to pay 90 million euros in just satisfaction for the enforced disappearance of 1,456 people and various violations against the Greek Cypriots of the Karpas peninsula, by Turkish authorities, dating to 1974. See ECtHR, Cyprus v. Turkey, [GC], no. 25781/94, Judgment of 12 May 2014 (Just Satisfaction). This case is the first of four cases that Georgia has brought to the ECtHR against Russia since 2007. The second case, concerning Russia’s alleged violation of the European Convention during the 2008 Russo-Georgian conflict, is currently pending before a Grand Chamber. 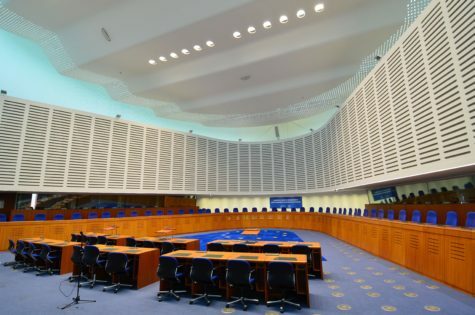 See ECtHR, Cases pending before the Grand Chamber. The third case, which concerned Russia’s detention of several Georgian nationals, was voluntarily dropped by Georgia after Russia released the individuals from detention. [ECtHR: New Complaint] The fourth case, filed in August 2018, concerns alleged violations of rights along the border between Georgian-controlled territory and Abkhazia and South Ossetia. [ECtHR: New Complaint] The International Criminal Court (ICC) has also opened an investigation into alleged war crimes and crimes against humanity committed during the 2008 Russo-Georgian conflict. See ICC, Situation in Georgia. After finding in 2014 that Russia had implemented a “coordinated policy of arresting, detaining and expelling Georgian nationals” in violation of the European Convention, the ECtHR postponed deciding whether Georgia could claim damages, hoping that the parties would reach an agreement on their own. See Georgia v. Russia (I) [GC], Judgment of 31 January 2019, para. 2-3. However, when the two States failed to reach an agreement, Georgia filed claims for just satisfaction in 2015 and the Grand Chamber took up the question under Article 41 of the European Convention. See id. at para. 4. The primary issue raised in this case was whether the ECtHR can award damages in an inter-State complaint, and if so, whether Georgia should be awarded damages for Russia’s violation of the European Convention. See id. at paras. 16-18, 29-47. Russia argued that only the Georgian nationals affected by Russia’s expulsion policy have the right to claim damages before the ECtHR and that the Georgian government, who had failed to individually identify the majority of the victims, could not lawfully request damages on their behalf. See id. at paras. 17-18. However, the ECtHR found that in light of its 2014 judgment in Cyprus v. Turkey, the first case addressing the question of just satisfaction in in an inter-State complaint, Article 41 of the European Convention allows the ECtHR to award reparations to States parties in inter-State cases. See id. at paras. 19-20. In Cyprus v. Turkey, the ECtHR laid out three factors that the Court will consider when determining whether damages are appropriate in an inter-State case. See id. at para. 22. The Court will consider: “(1) the type of complaint made by the applicant Government, which had to concern the violation of basic human rights of its nationals (or other victims); (2) whether the victims could be identified; and (3) the main purpose of bringing the proceedings.” See id. Applying those factors in this case, the ECtHR found that Georgia’s claims qualified for monetary damages because the claims concerned Russia’s practice of “arresting, detaining and collectively expelling Georgian nationals” in violation of its obligations under the European Convention; Georgia was able to provide a “detailed list” identifying the victims; and Georgia brought the claim for damages to provide compensation for the identified victims, not “with a view to compensating the State.” See id. at paras. 23-28. The ECtHR then considered the amount of damages that should be awarded to Georgia. See id. at para. 28. The ECtHR will only award damages when a party can demonstrate a “sufficiently precise and objectively identifiable” group of victims. See id. Georgia initially requested approximately 70 million euros on behalf of a group of 4,634 Georgian nationals. See id. at paras. 29-30. When the ECtHR requested a precise list of beneficiaries, the Georgian government provided a list of 1,795 victims with supporting evidence, from which the ECtHR struck 290 individuals because they either appeared twice on the list, they lodged individual applications before the ECtHR, they were not Georgian citizens, they successfully obtained other remedies, the underlying human rights violation occurred outside of the period in question, there was insufficient information about them or their claims provided. See id. at paras. 35, 70. For the at least 1,500 individuals that remained on the list, the ECtHR determined that a lump sum of 10 million euros was an equitable amount of damages. See id. at paras. 75-76. The Georgian government is responsible for distributing the payments to the identified Georgian nationals. See id. at para. 77. The forced expulsion was one step in a series of escalating tensions between Russia and Georgia. [CNN] These tensions came to a head in 2008, when Russia and Georgia fought a short war over the Georgian regions of Abkhazia and South Ossetia, two separatist territories of Georgia. [CNN] Both countries have accused the other of war crimes concerning the 2008 conflict. [Jurist] Human Rights Watch has documented rights abuses and violations of international humanitarian law by both Russian and Georgian forces. See Human Rights Watch, Up in Flames: Humanitarian Law Violations and Civilian Victims in the Conflict over South Ossetia (2009). In January 2016, the ICC Prosecutor opened an investigation into alleged crimes against humanity and war crimes committed in the international armed conflict that occurred between July 1 and October 10, 2008 in Georgia. See ICC, Situation in Georgia. Currently, the investigation is focused on violations occurring in and around the territory of South Ossetia. See id. The case is currently in the investigation stage of proceedings. See id. The ECtHR is a regional human rights judicial body based in Strasbourg, France. The Court has jurisdiction to decide complaints submitted by individuals and States concerning violations of the European Convention on Human Rights by a State party to the Convention. All 47 Member States of the Council of Europe are party to the Convention. For more information about the European Court of Human Rights, visit IJRC’s Online Resource Hub. To stay up-to-date on international human rights law news, visit IJRC’s News Room or subscribe to the IJRC Daily.